Barnsley and Barnsley are pleased to announce the first of our new Criminal Justice (Scotland) Act 2016 courses for Specialist Reporting Agencies is to be held on the 19th of January 2017. 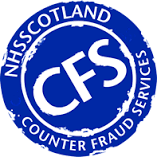 The course is being delivered to the staff of the NHS Counter Fraud Services in Livingston. Our associate, Colin Drummond (former Detective Inspector at Police Scotland) will deliver this course.